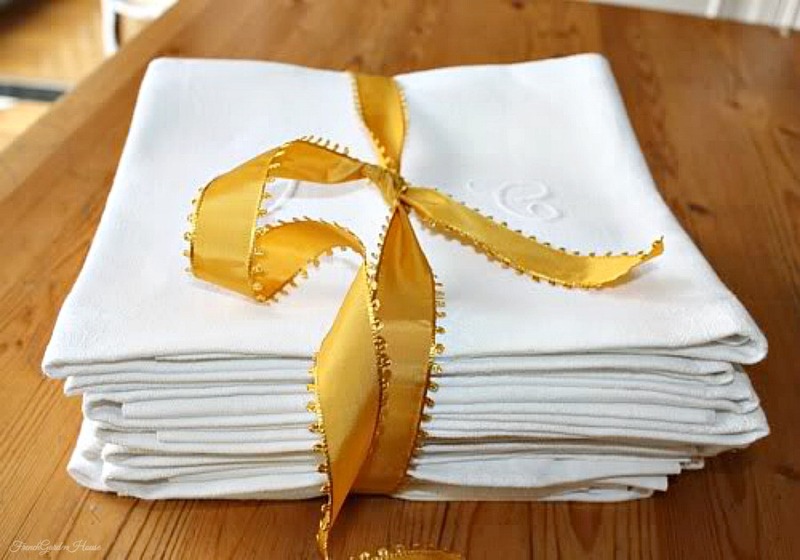 Gorgeous Antique French Linen Damask Napkins are monogrammed by hand in the center with "D C". Nice large size, meant to be able to cover your lap completely, even if you, like the Victorian women these were made for, are grandly attired in your full skirted gowns! Thickly woven, the damask has a lovely pattern of Roses randomly scattered in the center, surrounded by a gorgeous floral Rose border. Creamy White, these are a substantial weight for every day use. Of note: one piece has a small hole, one has a "thin" as shown. Slight aging that will no doubt launder away, these are in good condition. Ca 1890~1905. Fabulous set, such a charming addition to your table setting to delight your guests. Price is for 10. Each measures 23" x 25".